The California Fair Employment and Housing Act provides up to four months (88 work days) protected leave during the time a woman is actually disabled and unable to perform her job due to pregnancy, childbirth, or related medical conditions. Upon the documented advice of her health care provider, a pregnant employee may request temporary reassignment to a less strenuous or hazardous position. If the employer can reasonably accommodate such a request, it must be granted. To discuss your legal questions and concerns regarding pregnancy leave with an employment law attorney, contact Adams Law today to schedule a free initial consultation. We take time to individually meet with our clients, including Saturday appointments if that is the only day you are available. Often overlooked, fathers also have rights and are also entitled to leave to care for a newborn child, a newly adopted child, or a child taken in through foster care. The FMLA covers biological fathers as well as adoptive fathers, foster fathers, stepfathers, and legal guardians when the need arises to take employment leave to care for a sick child. Additionally, fathers are entitled to take leave from work to deal with health related issues of the mother of their child. Both Federal and California law protects fathers from retaliation by their employers for taking leave to care for a sick child or spouse. The employer is also obligated to restore the employee to a position with equivalent employment benefits, pay, and other terms and conditions of employment, absent the applicability of some narrow exceptions. 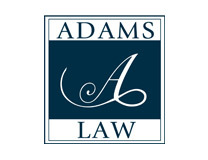 If your rights as a mother or father to care for yourself or your sick child are being violated, Adams Law may be able to assist you. Whether you have been harassed for taking leave, are denied your right to take family leave, or suffering retaliation or discrimination after returning from leave, contact Adams Law to discuss your individual legal concerns.